Europe’s biggest award ceremony celebrating black and ethnic personalities in entertainment, film, fashion, television and arts has officially opened it’s grand 5th year anniversary public nominations. BEFFTA awards, founded by entrepreneur, TV presenter and philanthropist Pauline Long in 2009 is back for the 5th year to celebrate greatness within the African and Caribbean community. The 5th year BEFFTA UK anniversary is expected to be celebrated in a very grand style bringing together several international and UK stars under one roof with a common goal to celebrate and honour both unknown and known hard working and extremely talented personalities in entertainment, film, fashion, television and arts. 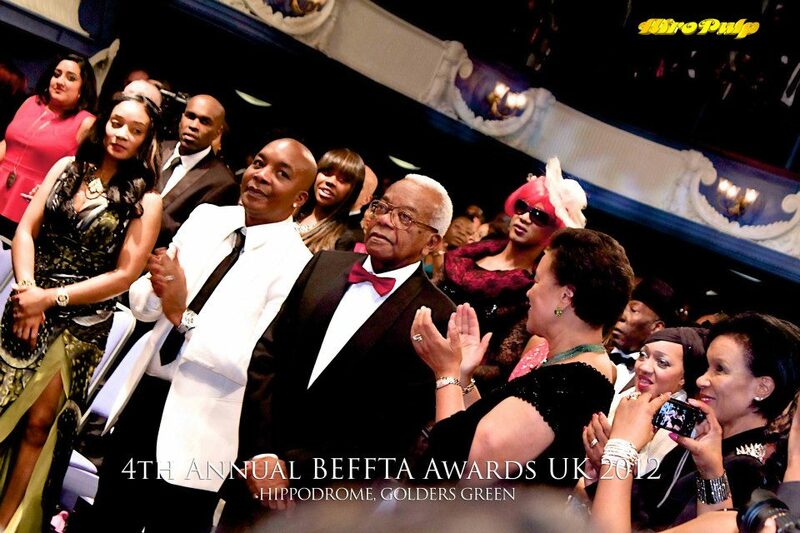 With legendary personality Sir Trevor McDonald celebrated last year at BEFFTA UK 2012 with a lifetime achievement award, BEFFTA awards UK team looks forward to celebrating yet another deserving legend who will be revealed soon. 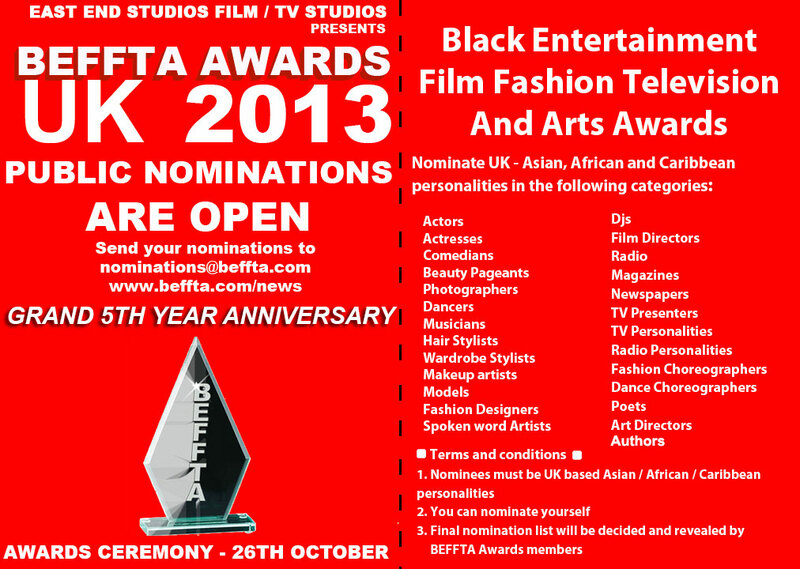 BEFFTA UK public nominations will close on Monday 29th July 2013. This entry was posted by BEFFTA Editor on June 3, 2013 at 11:07 am, and is filled under NEWS FLASH. Follow any responses to this post through RSS 2.0. Responses are currently closed, but you can trackback from your own site.